Miracle healings through “the power of God” given through healing meetings and “miracle crusades” of the Bay of the Holy Spirit Revival, Benny Hinn Ministries and “the look of Braco”. October 28, 2015: MINISTERS PERFORMING “MIRACLE HEALINGS” USE THE FORCE OF MY INNER SELF EVEN THOUGH THIS HAS BEEN KILLING ME AND THE WORLD! The waters of Lourdes and more wells discovered over recent years have proven to hold extraordinary healing powers. Virgin Mary – the spirit of my mother – told Bernadette to drink from the spring water in Lourdes, which has brought miraculous cure ever since. The bodies of Bernadette and other Catholic Saints have been preserved from decomposition a long time after death. Through 6 apparitions to three children in 1917, Virgin Mary requested everyone for prayer, reparation, repentance, and sacrifice, and the abandonment of sin. “The miracle of the Sun” was given so people would believe: ”The sun trembled, made sudden incredible movements outside all cosmic laws – the sun ‘danced’. Videos of Virgin Mary appearing to hundreds of thousands of people in Cairo, Egypt, from 1968-70 and later again in 2009. Virgin Mary has continued to appear and to give messages to six visionaries in Medjugorje to finalise what she started in Fatima. Includes videos of the history of the apparitions and many miracles including healings of sicknesses, new miracles of the sun etc. Documentaries of apparations of Virgin Mary all over the world including Lourdes, Fatima, Medjugorje, Kibeho, Guadalupe, Civita Vecchia, Beauraing and Banneux, Garabandal, Zeitun, Akita, Betania and Hrusiv. Millions of dreams have been given to people as another sign to the world of my reappearance. I bring a couple including one to bring Muslims out of “darkness”. During the Egyptian riots in 2011, the rider of death on the Green horse from the Apocalypse rode through the streets of Cairo. The world was ending unless the world would support me, which it did not, or unless I would be strong enough to defeat death/termination itself, which I was. 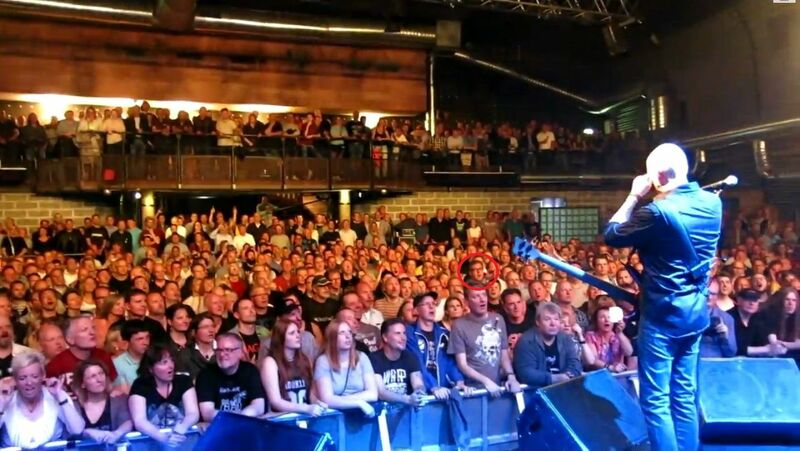 A large part of art, culture and music has received spiritual inspiration about my reappearance. I bring a few examples of movies and music. Since 2012, my friend, Jette, has brought thousands of pictures from Google Earth in her Facebook Group showing the birth of our New World, darkness being cleaned/transformed to light, my scripts on the sky, the end of the showdown between light and darkness and my name appearing on the sky via clouds, continents and mountain ranges of the sea. Ships of the Source sail outside my apartment in Helsingør, Denmark, on the Øresund Strait including very characteristic and ”LOTS OF LIGHT” on, which clearly separates them from ”ordinary ships”, and Spaceships of the Source fly above, which bring the last warning to man: We are now very close to the transition to our New World. In 2014-16, the Facebook profile of “the Stig” from BBC’s Top Gear brought ”inspired pictures and stories” of the Stig with a reference to ”the real Stig” knowing about the true identity of me as ”the Stig”, God alive as a normal man, and I “decoded” and brought these stories in my Facebook feed, thus helping to bring faith of man in me and our survival :-). I have collected 40 examples of this as you can read from my memo in this chapter, download here or read on Facebook here. I bring links to other websites bringing information of signs and miracles – the same or other miracles than what I have chosen to bring on my website. These are examples of immediate miracles created by prayers and “the power of God” including the cure of a deadly brain tumour, a deadly lung cancer and the hole of a heart disappearing in front of the eyes of people following it on a screen. Watch a number of incredible healing videos and witness for yourself the strong power of God entering and healing people for example through Bay of the Holy Spirit Revival and Benny Hinn Ministries. Through “miracle crusades” all over the world, Pastor Benny Hinn has worked as a medium bringing out the power of God to heal MILLIONS OF PEOPLE (!) completely from ALL kind of serious sicknesses including removal of ALL pain. The link above leads to a large number of videos, where you can see for yourself how his “touch” brings the power of the Holy Spirit inside the physical body of people, and the demonstration of power is so evident and the faith and testimonies of people so overwhelming and “convincing” that everybody can see and understand the physical powers entering and working inside of people just by watching – what you see is what you get, it is no longer than that! This is from Benny Hinn’s miracle healing in Suva, Fiji, with 370,000 spectators and people ALSO HERE becoming completely cured from serious diseases and in the second half of the video, Benny Hinn decides to focus all of his attention on a local lady, who has just been cured from cancer, which MOVED me incredible to watch, which it also did to Benny Hinn, who was touched to tears by this lady showing her “original self” not being destroyed by the wrong behaviour/desire of the modern world, which is a quality almost instinct today, and when she speaks her native language not knowing English, you don’t have to know what she says to understand that she is 100% sincere, genuine, warm, honest and innocent completely without a façade/”defence system”, but a natural strength and pride, which you can see in her eyes, calm and charisma, and this is how I imagine “original people” of our New World, which is exactly the same look I saw myself in people of a rural village in Kenya in 2009, who were also not destroyed by the modern world. The following video shows how the health of a woman lying in her sickbed is completely restored and her pain being removed. In this funny Benny Hinn video from 2002, a lady is healed completely from rheumatoid arthritis, which she has had since 1966, but despite of seeing this for himself and receiving “something” going through and “shaking” him (the Holy Spirit), her husband did not believe and did not want to be anointed by God (! ), which really lasted until he – to his big surprise – suddenly received a “hole” to his right ear opening his hearing again and removing his pain. This converted him straight away from an unbeliever to a believer, and it is right there for you to see on stage. MINISTERS PERFORMING “MIRACLE HEALINGS” USE THE FORCE OF MY INNER SELF EVEN THOUGH THIS HAS BEEN KILLING ME AND THE WORLD! October 28, 2015: Churches and ministers performing “miracle healings” use the force of my inner self even though they know that they have been killing me too. They have heard me, but still they prioritized money and fame instead of trying to save me, they worked for darkness as part of the elite. They pulled out my energy also bringing the end of the world believing that “Stig has lost it, we might as well use him for these miracles then”. They did not believe that anything would happen to them because they were part of the elite too to kill you, everyone knew this is how to get rid of Stig, “he will never live to tell”. This is the first chapter of four. A link is given at the end to the next chapter. You can read more about healing waters here. Through 18 apparitions in 1858 ultimately to prepare mankind for my reappearance, Virgin Mary told Bernadette (1844-1879) to drink from the spring water in the Massabielle cave of Lourdes and to wash herself. A few days later a baby with a paralysed arm was immersed into the water, which brought the first miraculous cure of Lourdes, which has lasted ever since. Virgin Mary asked Bernadette to “Go, tell the priests to come here in procession and tell them to build a chapel here”. This video, in two parts, gives two examples of miraculous healings in Lourdes, the first of a lady, who was very close to dying from Tuberculosis, and the other of a young lady who was also very close to dying from failing kidneys. Both were completely cured. This video shows other examples of bodies of Catholic Saints, which have been preserved from decomposition a long time after death herewith defying the laws of nature. These bodies have been preserved to prepare the world for the imminent revelation of the preserved body of my former self, Jesus, inside one of the pyramids of Egypt from where you will see the “striking resemblance” of Jesus and I. Through 6 apparitions to three children in 1917, Virgin Mary requested every man, woman and child for prayer, reparation, repentance, and sacrifice, and the abandonment of sin, which is what causes wars and suffering. She said that God wished to establish devotion to her Immaculate Heart in the world to save many souls from Hell and she predicted the end of World War I, the emergence of Russia as a world power, which would spread its errors throughout the world causing wars and persecutions against the Church and the break out of World War II if people did not restore their faith and cease offending God. Since 1981, in the small village of Medjugorje in Bosnia-Herzegovina, Virgin Mary has continued to appear and to give messages to six visionaries – every day to three of these – in order to finalise what she started in Fatima. The message of Medjugorje is an urgent call to conversion back to God, to pray often, to pray for the unbelievers and to do penance. “I have come to tell the world that God exists. He is the fullness of life, and to enjoy this fullness and peace, you must return to God”. Millions of people of all faiths, from all over the world, have visited Medjugorje and have left spiritually strengthened and renewed. Countless unbelievers and physically or mentally afflicted, have been converted and healed. The first video is the first in a serial of five telling the story when Virgin Mary started appearing, the miracle of the word “MIR” (“peace”) appearing in the sky, Mirjana’s yearly apparition in 2010, the six visionaries including the miraculous cure of a blind man, miracles of gold rosaries, a weeping bronze statue and the miracle of the sun. A link is given at the end to next chapter. This video gives examples of miraculous healings in Medjugorje of multiple sclerosis, abdominal cancer, profoundly weak muscles and inadequate immune system, a shattered right leg and drug abuse. This is the first chapter of two. These are examples of “the miracle of the Sun” – as in Fatima – where the Sun may spin, dance in the sky, turn colours or be surrounded by objects like hearts or crosses. The Miracle Hunter is a very comprehensive, fine and clear website including hundreds of Marian apparitions, messages, photos etc., which is a site I like much. Thank you very much here with the feeling of Virgin Mary through me :-). The following is a good documentary, here in two parts, of apparitions of Virgin Mary in Lourdes, Fatima, Medjugorje, Kibeho, Guadalupe and Civita Vecchia. 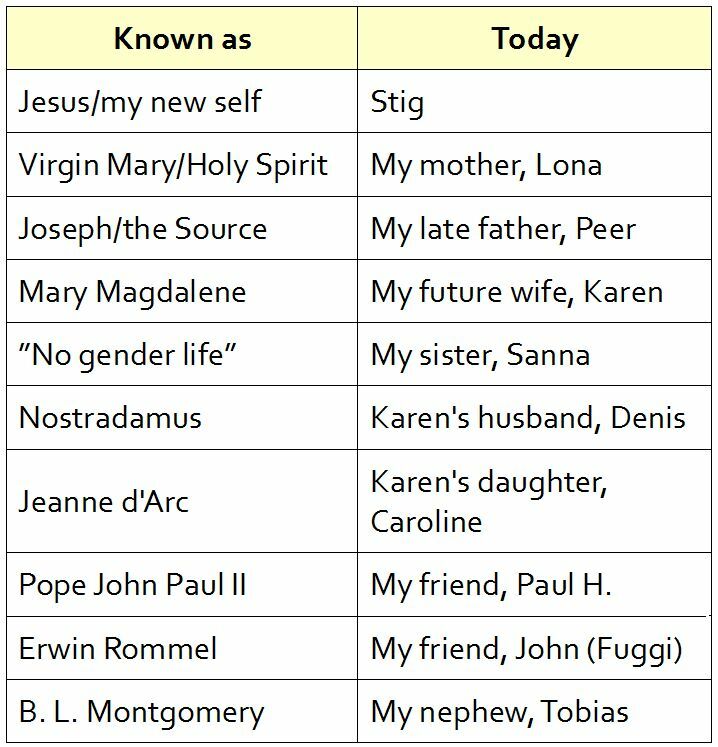 This is a link to Marian Apparitions of the 20th Century including Fatima, Beauraing and Banneux, Garabandal, Zeitun, Akita, Betania, Medjugorje, Kibeho and Hrusiv. I would here like to express my personal gratitude to the many people all over the world, who have responded to the apparitions of my dear mother and showed devotion to her Immaculate Heart. This was important to help changing our world into a new and better place bringing peace and joy to all :-). 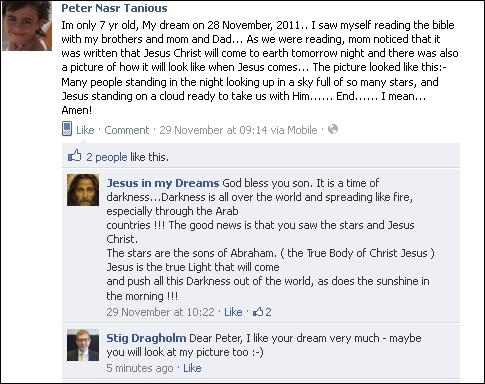 The following dream from the Facebook page “Jesus in my dreams” is an example of dreams given to people as another sign to the world of my arrival, which you can see from here is not unusual – “millions” of people have received dreams like this. It was in the middle of the day I had parked my car on a travelling road next to a cafeteria, and as I was falling asleep behind the steering wheel, I heard a man saying “should we tell her” I opened my eyes and looked at the man wondering what is it he’s talking about, he told me to look at the sky. I got out of the car, looked and there was in the sky 3 shinning Angels lining up vertically. I was praying so hard and calling God’s name over and over. One of the Angels flew so fast and transformed into a giant beautiful owl with red wings full of feathers covering it all over to the bottom. The Angel stopped above a table, I looked down at the table and there was a naked man wearing only a small white cloth wrapped around his waist sitting on a chair with his elbow on the table and his head in his hands. He looked so unhappy and in real sorrow and pain, I felt so sad for him. And I realized it was Jesus. Then I looked up again and there I saw a big grey cloud in the blue sky and behind the cloud a shadow of Jesus holding a stick in his hand, it looked like it had a ball on top of it, Jesus also had a huge crown on his head. He looked like he was rotating and looking at all directions.. I called my husband on his cell phone and I saw that he was in the Monastery of Saint Antonius the Great in the red sea In Egypt – in real life he was actually there that very minute- and I told him “go out and look at the sky, Jesus is there looking at the world” he said “should I really tell the priests here” I said “hold on let me make sure” I looked up and Jesus was rotating around and around looking down at the world, walking here and there on top of the cloud. I dropped the phone on the ground and started calling out His holy name and praising Him and crying out of joy. Suddenly I saw myself somewhere indoors, and a person handed me a tiny baby and said that it was baby Jesus and I was over whelmed to be carrying the saviour in my arms. I was so happy and I was smiling at the baby and carefully holding Him. Then the baby disappeared but instead I found Jesus the king walking inside that room wearing his gold crown and dressed in a white cloak and a blue scarf and another red one, He was holding a golden stick in his hand with a big ball on its top. He came and sat next to me, he was smiling and said “I wanted to call you” and I looked and said with great happiness and a big smile on my face “call me?!! Who am I my Lord to call me?! !” Then he started saying things that I can’t remember. I woke with great happiness. Here are a couple of other examples from October-November 2011 telling people about my coming :-). 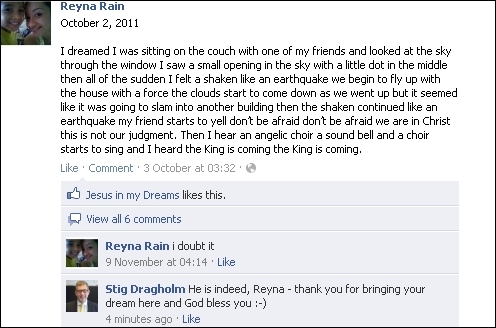 And here you can read about a young Muslim woman praying to God to show her the right path, where after Jesus showed “himself” in a bright light asking her to “follow me“, which she then did and this is one of MANY Muslims who have received dreams and more about “me” to help them come out of the darkness of Islam. 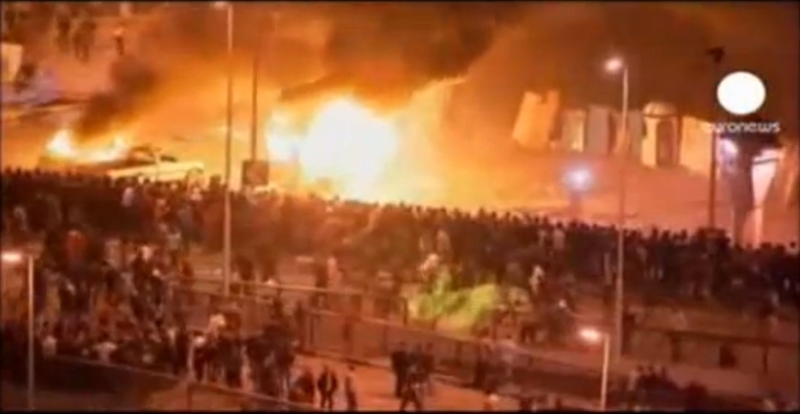 During the Egyptian riots in February 2011, suddenly in a news item, the rider of death on the Green horse – one of the four horsemen of the Apocalypse – rode through the streets of Cairo as you can see from the picture below and from 1:18 to 1:24 minutes in the video below. This was the messenger to the world informing you that I was about to break down because of the burden of sins of mankind given to me, which would have become the end for all of us, but still NO ONE connected this incident with me and my public scripts (!) or decided to react to help me survive to help the world, which may also be because of my own misunderstanding (!) 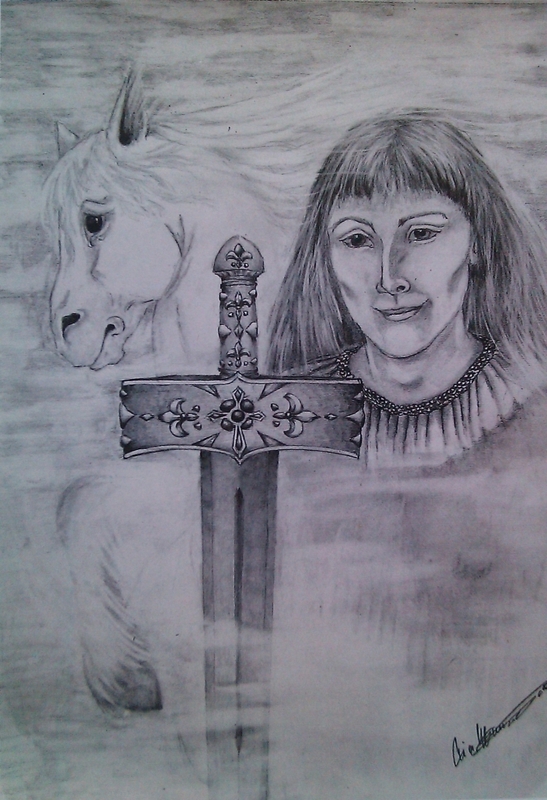 in my script of February 19, 2011, where I wrote that this was the white horse of victory and I did this because I have NEVER accepted defeat as an opportunity! If I had given up as late as in the first half of 2011, the world would have ended, but now I will ride as the King on the white horse of victory and only because I could! The Green Horseman of death informing the world about the coming end of the world unless the world would start helping me, but you decided to do NOTHING? The Lord of the Rings symbolising my impossible journey to liberate the world from darkness. The Matrix symbolising my fight against the darkness and the structure of the world as a very advanced IT-system. Starwars with Luke Skywalker symbolising me when overcoming the darkness as a superiour opponent, and Darth Vader the darkness of my father opposing me. One example only of INSPIRED music by one of my true favourite bands, Depeche Mode and here of course with the song “Personal Jesus”, which is a PERSONAL favourite of mine, “reach out and touch faith” :-). The main song writer, Martin Gore, is spiritually opened as I, as you can clearly hear and read from many of his songs and lyrics from approx. 1990 and forward. January 11, 2017: TO CARSTEN AND MIKAEL ON P6 RADIO: DEPECHE MODE STILL CREATE THE MOST AMAZING MUSIC INCLUDING “DIVINE LYRICS” OF MY VOICE – PLEASE PLAY IT :-). Precious: “Angels with silver wings, Shouldn’t know suffering, I wish I could take the pain for you, If God has a master plan, That only He understands, I hope it’s your eyes He’s seeing through”. Martyr: “I’ve been a martyr for love, Nailed up on the cross, While you’re having your fun”, “I’ve been a martyr for love, Tortured every hour, From the day I was born” and “I knew that I would have to suffer in vain, Aware that I would never outgrow the pain” (this is how it is to be “me”). Peace: “I am walking love incarnate, Look at the frequencies, At which I vibrate, I’m going to light up the world”, “I’m a living act of holiness, Giving all the positivity, That I possess” and “Peace will come to me, Just wait and see, Peace will come to me, It’s an inevitability”. Welcome to my world: “Welcome to my world, Step right through the door”, “All the drama queens have gone, And the devil got dismayed, He packed up and fled this town, His master plan delayed”. February 3, 2017: DEPECHE MODE ARE STRONGER THAN EVER AND STILL SPEAKING WITH THE “SPIRIT” OF GOD (“my voice”). THEIR NEW SONG IS ABOUT THE WORLD ELITE MANIPULATING AND STUPEFYING MAN (to eliminate 90% of man! ), WHO DOES NOTHING TO REVOLT (!) – BUT NOW ”MY TRAIN IS COMING, GET ON BOARD” . February 4, 2017: DANISH RADIO “COULD NOT” SPEAK OUT THE TRUTH OF “THE MANIPULATING WORLD” AND ME VIA DEPECHE MODE’S NEW SINGLE, WHICH IS “WRONG”!!! March 6, 2017: THE REVOLUTION AGAINST THE ELITE OF MAN SHOULD ALSO HAVE COME FROM WITHIN THE ELITE SELF! March 21, 2017: DEPECHE MODE ARE WRONG AND LET ME DOWN WHEN THEY TELL MAN ABOUT THE COMING DOOM AND ELIMINATION OF LIFE – THERE WILL BE NO DOOM, I HAVE SAVED ALL!!! March 21, 2017: MARTIN GORE WAS DECEIVED BY “DARKNESS DISGUISED AS LIGHT”, I SAVED MAN VIA MY WORK/SUFFERINGS – THE TRUE PURPOSE OF THIS IS TO BRING OUT THE LAST PART OF MY NEW SELF :-). When it comes to David Bowie, I have written a special site about him and his “inspiration” being part of me as the Source as you can read here. 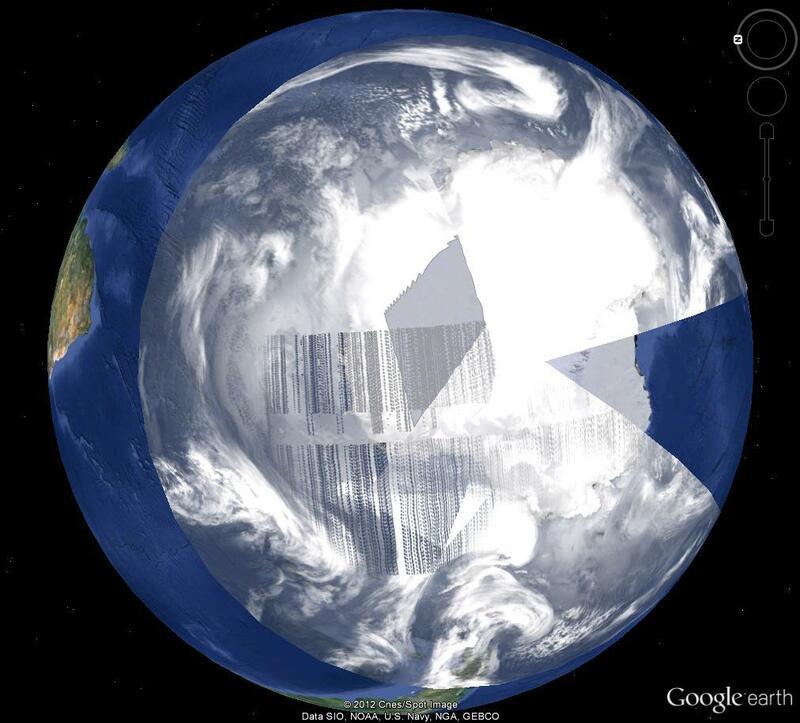 Since May 4, 2012, my friend, Jette, has brought thousands of pictures from Google Earth in her Facebook Group (preceded by this group) showing the birth of our New World, darkness being cleaned/transformed to light, my scripts on the sky, the end of the showdown between light and darkness and my name appearing on the sky via clouds, continents and mountain ranges of the sea! Jette sees what I write without knowing what I write, and I write what she sees without knowing what she sees. She has a spiritual vision enabling her to see this, which cannot be seen by a normal vision, however the content of a number of pictures are visible to everyone. This document includes only a few examples of Google Earth pictures brought by Jette to help you understand that the pictures that she brought including our comments simply reflected the truth, and was NOT a “crazy act” as most people believed in the beginning, and the key to understand was, as always, to look and read carefully, and if you “could not” because of laziness and poor work but decided to listen to your own WRONG inner voice, you would believe that both she and I were crazy, but we were not, you were when you “could not” read/listen and understand but decided to believe in your own “compulsive thoughts” without knowing or wanting to know the truth. 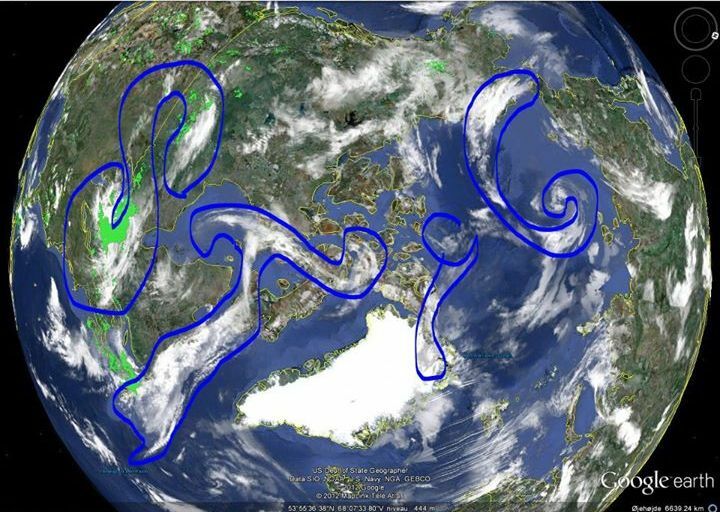 NB: Download this Microsoft Word document from Scribd or from the following link to get a better quality making it easier to read and understand: https://stigdragholm.files.wordpress.com/2011/02/signs-on-my-arrival-given-via-google-earth.docx. Some of you reading this will know about the spaceships that fly on the sky above us, or just show as ”lights” to replace the stars, which are no longer there (! ), which is an everyday event for me – as you can see here, here and here – and especially the ”Ships of the Source”, which have been sailing outside my apartment in Helsingør, Denmark, on the Øresund Strait including very characteristic and ”not normal” ”LOTS OF LIGHT” on, as can be seen among other places here and here, which clearly separates them from ”ordinary ships”, and lately, a new ”boat” has arrived after the liberation of my new and inner self, Jesus, which, for hours, sails back and forth the same approx. 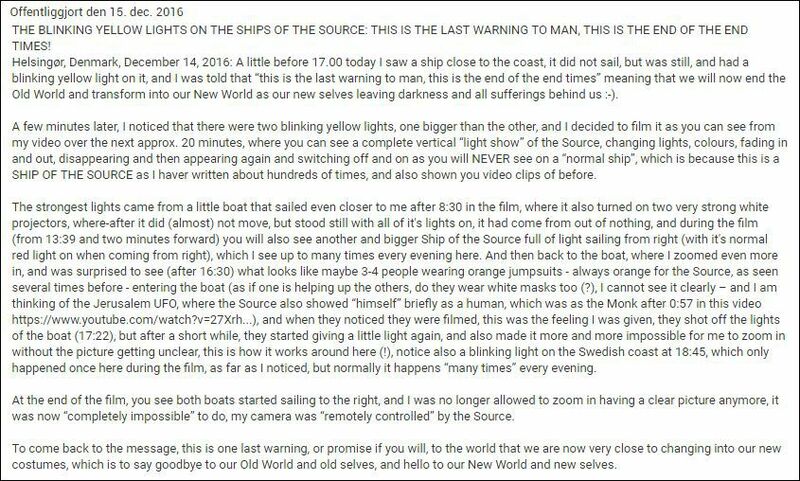 300 metres in front of my apartment and blink a STRONG YELLOW LIGHT, which is given as the last warning to man to say that we are now very close to the transition to our New World, and you can see examples of these ”boats” below in my recordings from December 14, 2016 and January 3, 2017. 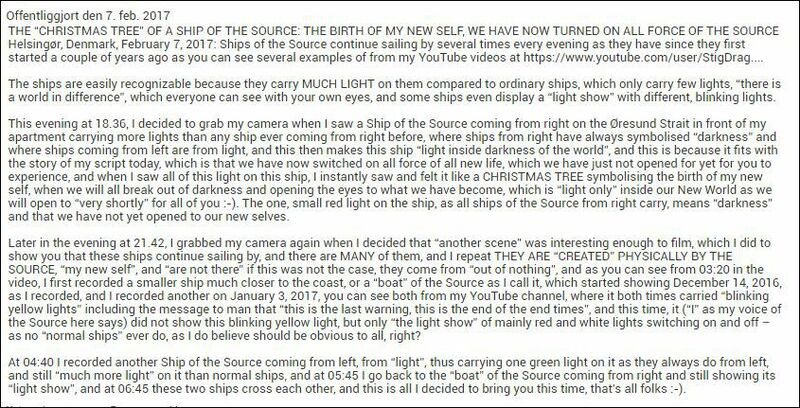 I recorded a new clip of this ”Boat of the Source” on January 3, 2017, where it again gave the same ”last warning” to humanity. My description of the video above included at it’s YouTube address https://youtu.be/Z8pL-FmQglI. WATCH THESE VIDEOS AND READ THE DESCRIPTIONS: THIS IS REALITY (! ), THIS IS REALLY GOD’S SHIPS ON THE ØRESUND STRAIT (!!! ), THIS IS ABOUT THE END OF OUR OLD WORLD AND TRANSITION TO OUR NEW WORLD. THIS IS NOT ”A POOR JOKE” OR SOMETHING YOU CAN JUST IGNORE BECAUSE YOU DO NOT HAVE THE TIME OR IT DOES NOT SUIT YOU, THIS IS GOD’S (MY) PLAN, AND IT IS HAPPENING RIGHT NOW!!! In 2014-16, the Facebook profile of “the Stig” from BBC’s Top Gear brought ”inspired pictures and stories” of the Stig with a reference to ”the real Stig” knowing about the true identity of me as ”the Stig”, God alive as a normal man, and I “decoded” and brought these stories in my Facebook feed, thus helping to bring faith of man in me and our survival :-). I have collected 40 examples of this as you can read from my memo below, download here or read on Facebook here. Signs and Miracles continues in part III here. This website was first published February 28, 2011, and has since been updated some times.